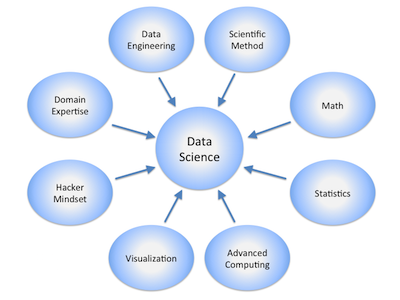 These are exciting times for data science and business. 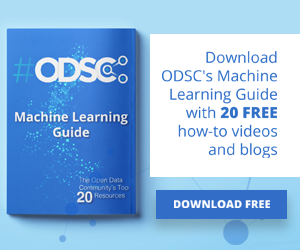 In his talk at ODSC East 2018, CTO and Co-founder at Anaconda Peter Wang presented a ‘state of the union’ on how data technologies are transforming business practices. Peter first described his work for Anaconda – the most popular Python platform for data science. As a free and open source distribution, Anaconda has reached 6 million users, and accumulated hundreds of data science packages on its platform. Anaconda also offers a commercial product, Anaconda Enterprise, designed for organizations to collaborate, govern, scale, and secure Python and R data science and machine learning. The growth of Anaconda has coincided with growing interest among businesses in using data to change the ways they approach customers and practices. 5 years ago, as Peter explained, all the rage was “Big Data,” a period when companies collected and stored vast quantities of data. It was actually doing stuff with that data that pushed them to adopt tools like Anaconda, and to seek new data scientists who knew how to generate value from it. Peter concluded with some specific areas of advice for business leaders. 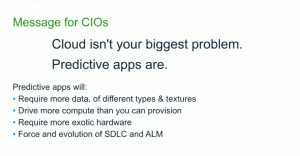 Although many CIOs are under the impression that cloud computing is their biggest problem, Peter suggests that predictive applications are much more significant. Done properly, predictive analytics can identify unseen trends and relationships, thereby generating increasingly accurate forecasts about a company’s business. Predictive applications are used in customer segmentation, risk assessment, market analysis, and sales forecasting, among other use cases (including many that have likely not yet been imagined). The difficulty, Peter remarked, has to do with the fact that predictive applications require far more data and far more ‘exotic hardware’ than many CIOs seem to realize. Business leaders should take steps to attune to their data science teams so that they know what kinds of data and hardware are needed to get the most out of their work. He argues that the challenge for businesses over the next 10 years will be going from a world that segregates programmers, statisticians, and business analysts to one that will start thinking about computing systems holistically as “inference engines,” with data science at their nucleus. 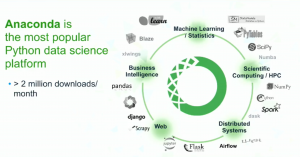 Anaconda is helping to catalyze this transition by consolidating the tools of analytics and intelligence, machine learning and statistics, web development, and other aspects of business in one platform – a “breaking down of silos” that will allow companies to use data modeling to understand how to be better. Python is the fastest growing programming language for data science, and Anaconda is the most popular Python platform for working with data. In response to excitement surrounding ‘big data,’ many organizations have gathered vast datasets pertaining to their business. However, they are still struggling to find ways to generate value from them. The most successful organizations of the next decade, Peter suggests, will be those that stop thinking about IT, data analysis, business analytics, and software engineering as disparate parts of their organizations, and instead start thinking about computing and data science holistically – “inference engines” designed to help businesses be better. CIO’s and other business leaders should be focused on predictive applications requiring larger and larger datasets and more exotic hardware in order to stay competitive. 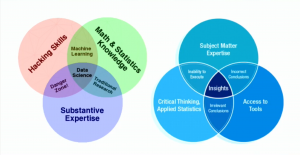 Interested in hearing more in-depth discussions from leaders in the data science and artificial intelligence space? 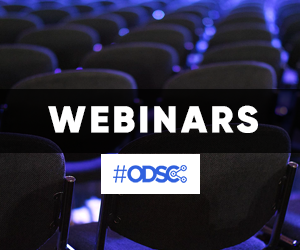 Check out ODSC’s upcoming conferences in San Francisco and London and register to be in the know.